This edited collection, first published in 1991, focuses on the commercial relations, marketing structures and development of consumption that accompanied early industrial expansion. The papers examine aspects of industrial structure and work organisation, including women’s work, and highlight the conflict and compromise between work traditions and the emergence of a market culture. 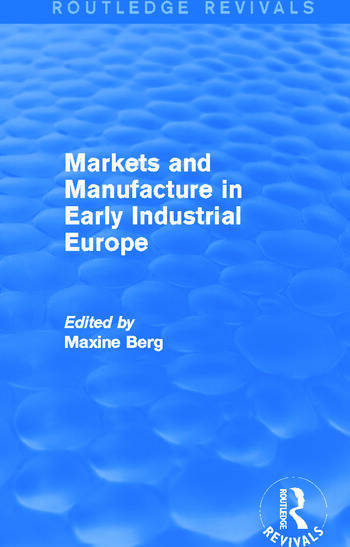 With an overarching introduction providing a background to European manufacturing, this title will be of particular interest to students of social and economic history researching early industrial Europe and the concurrent emergence of a material, consumer culture.